HOME | FAQs | TOWEL FEATS & RECORDS | VIDEO MONTAGES | MEDIA MENTIONS | FOLLOW US ON TWITTER! 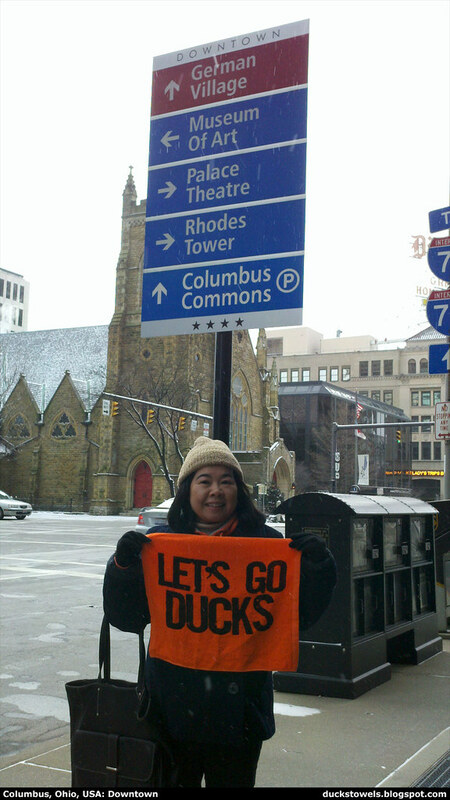 Columbus is the capital of the state of Ohio and its third largest metropolitan area. It was founded in 1812 and named after Christopher Columbus. During the American Civil War, it was a major base for the Union Army. It is currently home to Ohio State University, the largest university campus in the country. © Copyright 2009-2013 by Anaheim Ducks Towel Invasions, a division of Hermit Productions. Unless stated otherwise, all photographs are taken by their respective submitters and may not be used elsewhere without prior and express written permission. We are not officially affiliated with the National Hockey League or Anaheim Ducks in any way. All comments are the opinions and thoughts of their respective authors, and do not necessarily reflect the views of the blog author. All rights reserved. 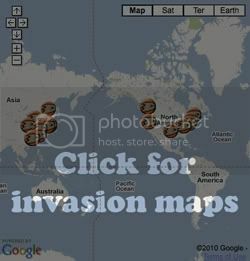 » Submit your own invasion! And he shoots... he scores! !